We are living in an unbridled age of technological expansion and it should surprise nobody that our gadgets are getting more and more intricate. When it comes to mobile technology there has been no platform that has garnered more advanced progression than that of the handheld tablet. From the Microsoft Surface to the Apple iPad, we have seen loads of consumer-friendly pieces of tech hit the market. 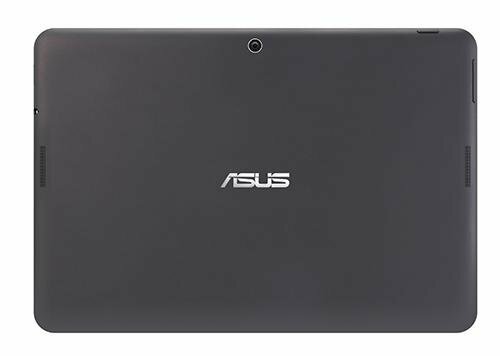 One company, most commonly known for their efficient and affordable laptops, has begun to make a splash in the tablet world: Asus. 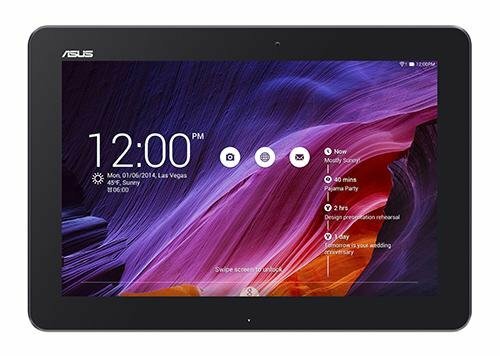 Asus released their Asus Transformer Pad TF103C-A1-Bundle in order to appeal to the tablet user who needed something affordable without sacrificing power. We picked up the TF103C-A1-Bundle model and dug into what the unit had to offer. Right off of the bat the TF103C-A1 comes out and makes itself amenable to two large demographics of potential customers. Combining the flexible aspects of a lightweight tablet and the power/customization options of a laptop makes the TF103C-A1 a full circle machine. The tablet accomplishes this handy duality by including a detachable keyboard. 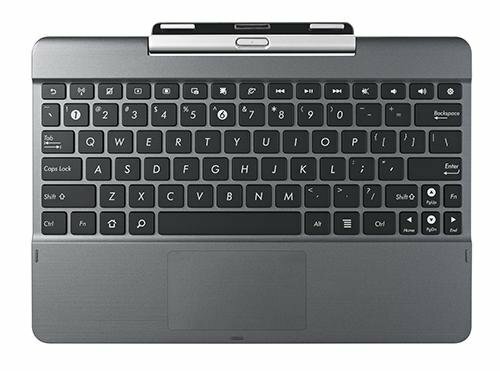 The keyboard itself has a spot for the tablet to clip in where it then becomes a touchscreen tablet. When you want to be more mobile, or just ditch the keyboard altogether, simply detach and put the keyboard away. The keyboard is hot-swappable which means there is no need to power off the machine first. The keys are chiclet style and the dock utilizes USB 2.0. The ability to switch seamlessly between physical keys and the ease of a touchscreen is one of the quickest ways you’ll be impressed by this little powerhouse. Like most devices in the tablet/notebook market, you will want to be sure that the product itself is lightweight and easy to carry around. Whether you intend to bring the tablet to school for note taking or on the road to get work done from your hotel, you need something that will be conducive to travelling. 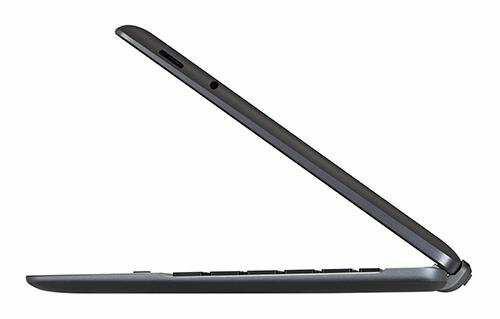 Fortunately, the TF103C-A1-Bundle is a lightweight device that sits at just 2.4lbs with the keyboard attached. The screen itself is a manageable 10.1 inches and the resolution for the device sits at 1200 x 800. For comparison’s sake, the Apple iPad MD510LL is 1.4lbs with a smaller screen and no physical keyboard. The weight is a little bit higher than comparable tablets but it feels all the sturdier because of it, and that’s a tradeoff most would make any day of the week. Fortunately, there is quite a bit of power sitting underneath the screen of this little device. Armed with a 1.33 GHz Intel Atom processor, the T100TAF-B1 will keep up with most modern gaming apps on at least intermediate settings and still enjoy the experience. As you know, anytime that you run video games or movies you will ding your battery unless it is plugged in and charging. Fortunately, the default charging point of this tablet’s battery is sitting at almost 11 hours of usage if you avoid YouTube and video games. If you are at least semi-active on websites that require a ton of interaction then you are probably looking at something closer to 8 or 9 hours of usage, which is still a great number when compared to laptops and a modest number for most tablets. In terms of internal memory, you’re running with a 16GB of storage. Unless you plan to heavily invest some space into downloading apps and movies, you shouldn’t run into too many issues. If you need more space you can grab an external hard drive in a crunch and plug it into the full sized USB port. One of the biggest drawbacks for most conventional tablets is the fact that they lack flexible connection options. This tablet does not have this issue, however, as its hybrid nature allows for a few more plug ins to be utilized. The multiple 2.0 USB pots including a micro-USB port located on the tablet itself and a full size USB port located on the detachable keyboard. If you are someone who likes to stream content to a larger screen then you can do that as well by utilizing the mini HDMI output that is available on the ASUS. You won’t be able to use a DVD/CD drive at all but there is a built-in media card reader that allows for data transfer from microSDXC, microSD, and microSDHC. One drawback we DID run into was the lack of an Ethernet connection. It makes sense for a table to lack an Ethernet option but we would have liked to see the hybrid angle work one in. Instead of being able to connect via Ethernet you are instead forced to rely upon the 802.11 ABGN WiFi card. When we used the tablet we never ran into spotty WiFi connection issues, so for all intents and purposes this worked out just fine. There is also the ability to run 4.0 Bluetooth as well if you want to stream from or to another device. To round out the T100TAF-B1-BF device we wanted to point out a few cool features. When you buy the tablet new you also receive a free year-long subscription to Microsoft’s vaunted Office 365 toolbox. Office 365 will give you access to Microsoft Word, Powerpoint, and Excel which turns this machine into a great work force option. To round features out it also has a webcam that allows for HD video sessions on services like Skype or just point and shoot photography. Our biggest concern when picking up the ASUS Transformer Pad TF103C-A1-Bundle was that it would sacrifice too much power in order to be as mobile as possible for the tablet version. Fortunately, the notebook aspect of the device is deep and powerful enough to fulfill the needs of most basic users. This is a quality tablet for people who want a general purpose device with great battery life while on the go.